Life for migrants is not easy, and it can be even harder on the LGBT community. 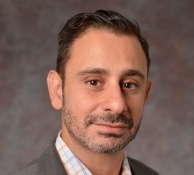 Edward Alessi, assistant professor in the School of Social Work at Rutgers University, details the hardships these groups face during their relocation. Dr. Edward J. Alessi is Assistant Professor at the School of Social Work at Rutgers, The State University of New Jersey. His scholarship investigates the effects of trauma and stress on the mental health of sexual and gender minorities; examines mental health practitioners’ use of affirmative practice; and seeks to advance clinical practice with marginalized populations. His research has been published in journals such as Psychotherapy, Psychotherapy Research, Psychological Trauma, and Child Abuse & Neglect. Dr. Alessi recently served as guest editor for the Clinical Social Work Journal’s first special issue on Clinical Practice with LGBTQ Populations. A clinical social worker since 2001, he has worked primarily in outpatient mental health and has been an independent practitioner since 2004. Lesbian, gay, bisexual, and transgender (LGBT) migrants who obtained refuge or asylum in the U.S. or Canada on the basis of sexual orientation or gender identity report extensive recollections of abuse by parents and caregivers, peers, and school personnel, according to a recent study connected by myself and my colleagues. Findings indicated that participants experienced severe and prolonged verbal, physical, and sexual abuse throughout childhood and adolescence and that abuse occurred at home, in school and in the community. Furthermore, there were few or no resources or protections available to them. An analysis of 26 interviews with individuals who obtained refugee/asylee status in the U.S. or Canada based on sexual orientation or gender identify was conducted with participants from Barbados, Belarus, Jamaica, Iran, Kenya, Kosovo, Malaysia, Nicaragua, Nigeria, Peru, Russia, South Korea, Trinidad, Uganda, Ukraine and Venezuela. Compared to what we already know about LGBT youth in the U.S. and Canada, children and youth in these countries have fewer support system resources, which impacts their resiliency. Also, unlike youth in the U.S. and Canada who can choose to move to a more tolerant region, movement to another part of the country does not help because of laws and policies that make escaping severe homophobia and transphobia difficult. Participants reported that they began to experience psychological distress in childhood and that it continued into adulthood. They described experiences of depression, anxiety, and traumatic stress prior to migration, as well as suicidal ideation and suicide attempts. Many internalized negative messages, which contributed to the belief that they were defective, sick, or demonically possessed. Preliminary evidence from this study suggests that repeated exposure to traumatic events in childhood and adolescence might place LGBT forced migrants at risk for developing serious mental health problems, including complex trauma syndromes. Despite the bleak picture before migration, participants also manifested extraordinary levels of resilience. To deal with their situations during childhood and adolescence, many immersed themselves in their studies and therefore excelled academically. Furthermore, seeking refuge or asylum should be considered an act of resilience in and of itself.